Sydney [Australia], Dec. 3 : Australian skipper Steve Smith has criticised Glenn Maxwell for his comments about Mathew Wade, dubbing them as "very disrespectful" and the mercurial all-rounder has been fined an undisclosed amount by the team leadership group. Maxwell had earlier this week expressed his disappointment with the fact that he is forced to bat below Wade in this year Victoria's Sheffield Shield side, saying it is" a little bit painful at times." As captain of Bushrangers, the batting order is Wade's domain and as he is now back in the Test side, Maxwell's future remains decidedly uncertain, despite his fantastic first-class record. Sydney, Feb 27 : Swashbuckling skipper AB de Villiers struck the fastest ever 150 runs in ODI history off 64 balls as he anchored South Africa to record a 257-run victory over the West Indies in their World Cup Pool B tie in Sydney. Opting to bat first, South Africa piled up an imposing target of 408, thanks to De Villiers' unbeaten 162-run knock and constructive knocks from Hashim Amla (65), Faf du Plessis (62) and Rilee Rossouw (61). In the process, De Villiers, who has been named as the Man-of-the-Match, also hit the second fastest World Cup ton off just 52 deliveries. South Africa suffered an early blow in the form of Quinton de Kock after he was dismissed for 12 runs off a Jason Holder's delivery. Sydney, Feb 26 : Sri Lanka recorded an impressive 92-run win against minnows Bangladesh in their World Cup tie at the Melbourne Cricket Ground, thanks to Tillakaratne Dilshan's unbeaten 161-run knock and Lasith Malinga 's exploits with the ball. Opting to bat first, Sri Lanka posted a mammoth 332-1 in their allotted 50 overs, courtesy of a half-century by opener Lahiru Thirimanne and Dilshan and former skipper Kumar Sangakkara's unbeaten tons. Dilshan fired away 161 runs off 146 delivers, as he ripped open Bangladesh's bowling line-up. His knock included 22 fours. Wicketkeeper batsman Sangakkara also impressed with the bat and remained unbeaten on 105 runs, which came of 76 balls and included 13 fours and one six. Sydney, Feb 24 - West Indies swashbuckling batsman Chris Gayle has become the first cricketer ever to score a double-ton in a World Cup after smacking a staggering 215 runs in their group stage tie against Zimbabwe at Canberra on Tuesday. The left-hander's blistering double-ton featured 16 sixes and thereby has equaled the record of hitting maximum sixes in an ODI innings with AB de Villiers and Rohit Sharma. The match also witnessed Gayle and Marlon Samuels (133) registering a record partnership for any wicket as they piled up a massive 372-run partnership for the second wicket. Sydney, Feb 12 - Former Australian skipper Ricky Ponting believes that Michael Clarke should step down from one-day captaincy, and hand over the premier role to Steve Smith after the conclusion of the World Cup. The two-time World Cup winning captain said that the right time for Michael to hand over the one-day captaincy to Steven will be after the conclusion of this World Cup, adding that retiring from one-day games would also allow Michael's body regular rest and recovery periods, News. com. au reported. Admitting that Clarke is perfect to lead Australia during World Cup, Ponting said that it would be a good time for Steven to take over the one-day job and Michael to remain as Test captain after the conclusion of World Cup. Sydney, Feb 07 : Australian swashbuckling all-rounder Shane Watson has claimed that the team is really excited to have 'experienced' Michael Clarke around, as the skipper is in a battle to meet his fitness deadline to take part in the World Cup. It is understood that Clarke sought and received iron-clad support to continue a four-year reign as captain from Cricket Australia's hierarchy during the grim stages of his rehabilitation from hamstring surgery. Steve Smith's spectacular impact as skipper, making three tons in as many Tests against India replacing Clarke, was followed by speculation segments of the side supported a permanent move, News. com. au reported. Sydney, Feb 05 : Australian golfer Richard Green has achieved a rare feat in the history of the sport after hitting a remarkable hole-in-one albatross through a bunker at the Victorian Open, which has grabbed the attention of golf fanatics around the globe. Green, who is ranked 193rd, has been the talk of the golfing world after footage of him firing a remarkable hole-in-one albatross on the 15th at the Victorian Open pro went viral, Fox Sports reported. Describing the shot as 'improbable as holes-in-one get', sports writer for CBS Sport, Kyle Porter said that the only unfortunate part was that he and his group were too far away to watch it go in. 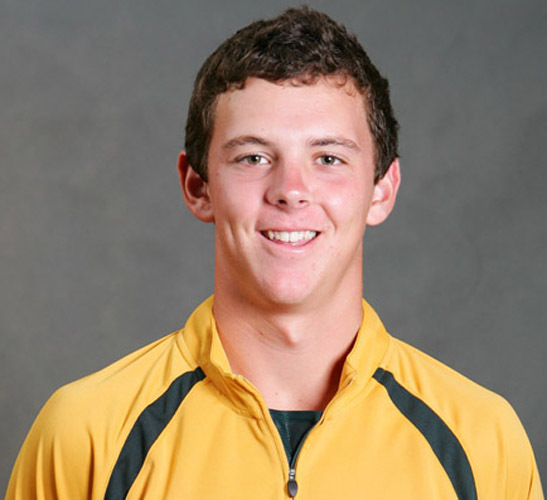 Sydney, Feb 04 - Australian fast bowler Josh Hazlewood has claimed that England don't quite know how to beat them yet, especially in Australia, following Eoin Morgan's team's recent loss in the tri-series final. Hazlewood pointed to Morgan's stumps being skittled by Australian pace spearhead Michael Johnson in the tri-series final as the clearest illustration that England are sitting ducks for the World Cup kick-off on February 14. 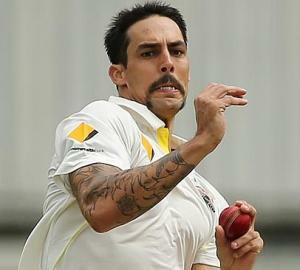 Walking out to bat after watching his opener Moeen Ali being removed by Johnson's express delivery, Morgan was too rattled to even offer a shot and was gone first ball, News.com.au reported. Sydney, Jan 27 : Australia's star batsman Steven Smith has capped off an incredible 2014 by winning his first Allan Border Medal, becoming the youngest winner since Michael Clarke to do so. The 25-year-old Smith became the youngest winner since a 23-year-old Clarke in 2005, in a year where he scored seven tons and a total of 1,756 runs across all three formats, excluding last week's unbeaten knock of 102 in Hobart. 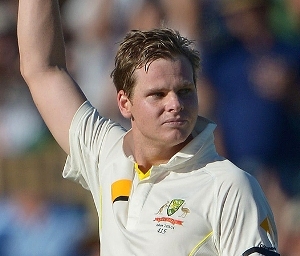 Smith scored a clean sweep of the top awards, taking out both the Test and One Day Player of the Year awards, News. com. au reported. Sydney, Jan 22 : Canadian tennis ace Eugenie Bouchard was left surprised after a male presenter conducting her on-court interview, post her dominating 6-0, 6-3 win over Kiki Bertens at the Australian Open, made an unusual request by asking her to give them a twirl. The male presenter asked Bouchard if she could give them a twirl, and the Canadian surprisingly asked a twirl. The presenter coaxed her saying that yes a twirl, like a pirouette, urging the Canadian to show her outfit, a pink skirt and top with bright yellow straps, to the crowd. The world number seven twirled somewhat uncomfortably, and then she laughed and buried her face in her hands, News. com. au reported. Sydney, Jan 19 - New Zealand cricket great Martin Crowe has slammed 'childish' David Warner for his 'thuggish behaviour' after the Australian opener got engaged in a slanging match with Rohit Sharma and demanded that the Indian should 'speak English' during Australia's second ODI win in Tri-Series. Tempers were on a high during Australia's four-wicket win against India in the second ODI of the tri-series at the Melbourne Cricket Ground on Sunday when Warner demanded that Sharma speaks English instead of his native Hindi. Sydney, Jan 15 : Indian cricket team has unveiled brand new lightweight ODI international kit ahead of the triangular series in Australia that starts on Friday. Nike, the official apparel sponsor of the Board of Control for Cricket in India (BCCI) crafted the latest Team India uniform in a bold new design with some of Nike's latest global apparel innovations to help the team perform at their best. 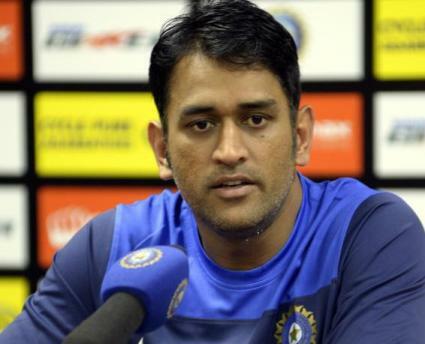 India ODI skipper Mahendra Singh Dhoni said that the new team India uniform was light, comfortable and packed with innovation to help minimize distractions on the field of play and that was critical when millimeters make a difference between a game winning innings or wicket. Ronaldo's strident 'owl hoots' can give 'Animal' Adam Levine a run for his money! Sydney, Jan 13 : Portugal football team captain Cristiano Ronaldo may give American singer Adam Levine a run for his money, as the footballer's owl hoot on winning his third Ballon d'Or sent the internet in shock even more than the ' Maroon 5' singer's howl in his hit single 'Animals'. Ronaldo, who was voted the world's best football player for the third time, is hoping that the honour brings him closer to being remembered as one of the greatest of all time, but all anybody would remember from the day was how he closed out his victory speech. 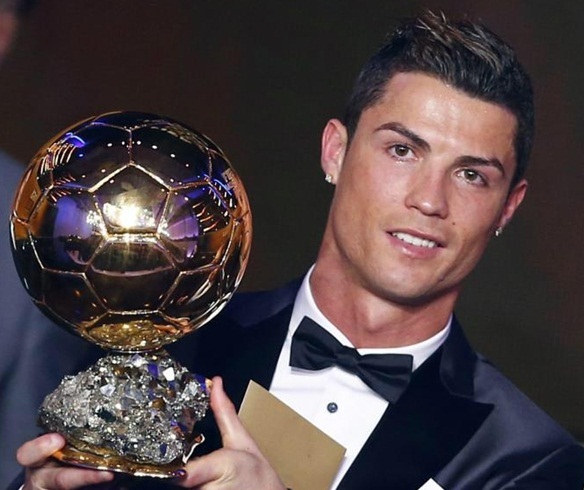 Ronaldo claimed that he never thought that he would win the award on three occasions, News. com. au reported. 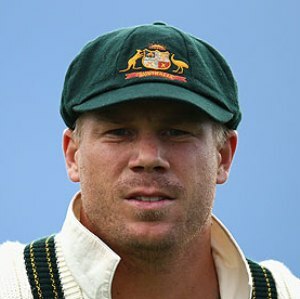 Sydney, Jan 08 - Former Australian Test star Doug Walters has insisted that current skipper Steve Smith is almost foolproof and has a great determination, but wants to see more daring from him as a captain. 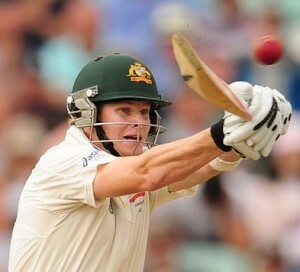 Smith knock of 117 runs on the second day of the fourth Test against India at the SCG was the skipper's fourth century of the series. The batsman joined Walters, Neil Harvey and Don Bradman on the list of Australians to have achieved the feat. Smith is also the first man in cricket history to score centuries in his first three Tests as captain, News.com.au reported. Sydney, December 15 - In the wake of Australian skipper Michael Clarke's injury, Steve Smith has been appointed as the new Australia Test captain for the remaining Test series against India. Cricket Australia released a statement, saying that Steven Smith had been appointed vice-captain of the Australian Test team effective immediately and would captain the Australian side in the absence of Michael Clarke, News. com. au reported. The statement further read that current vice-captain Brad Haddin, who led the Australian side on the final day of the Adelaide Test, would serve as Smith's deputy in Brisbane. Sydney, Dec 10 : Australia cricket team captain Michael Clarke added another ton to his Test figures as he contributed 128 runs to his side's massive total of 517 at the end of the second day of the first Test against India. 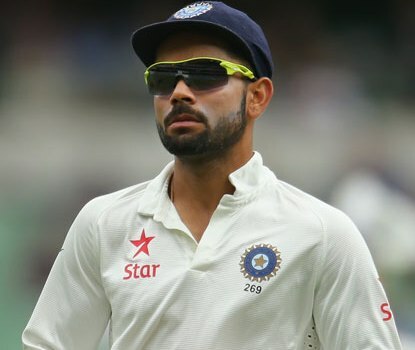 The ongoing Test between India and Australia was interrupted thrice due to wet conditions at the Adelaide Oval on the second day when the hosts resumed batting on 354-6 from their previous day's score. Skipper Clarke fired 128 runs before he was caught by Cheteshwar Pujara off pace bowler Ishant Sharma's delivery.